Raise a goblet to the world of witchcraft and wizardry, and toast a successful spell at Hogwarts with this beautifully designed Harry Potter drinking mug. Featuring the classic colours of Hogwarts, this purple and gold drinking mug is a great gift for fans of the famous boy wizard. The mug features the Hogwarts school crest, including the symbols of each of the four houses: Gryffindor (lion); Hufflepuff (badger); Ravenclaw (eagle); and Slytherin (serpent). 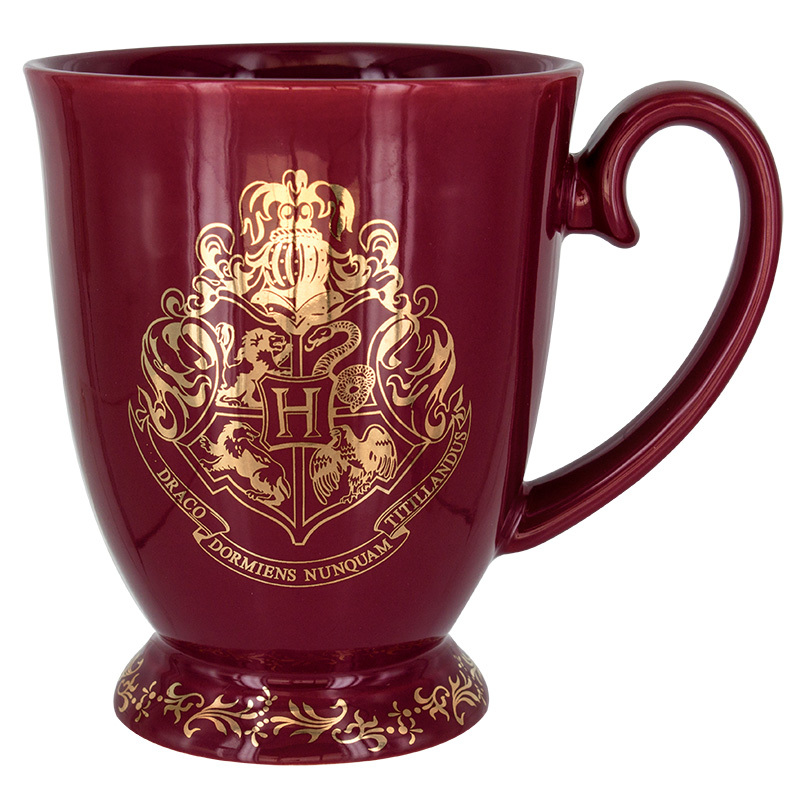 The mug also features the Hogwarts school motto, ‘Draco dormiens nunquam titillandus’ (Never Tickle a Sleeping Dragon). 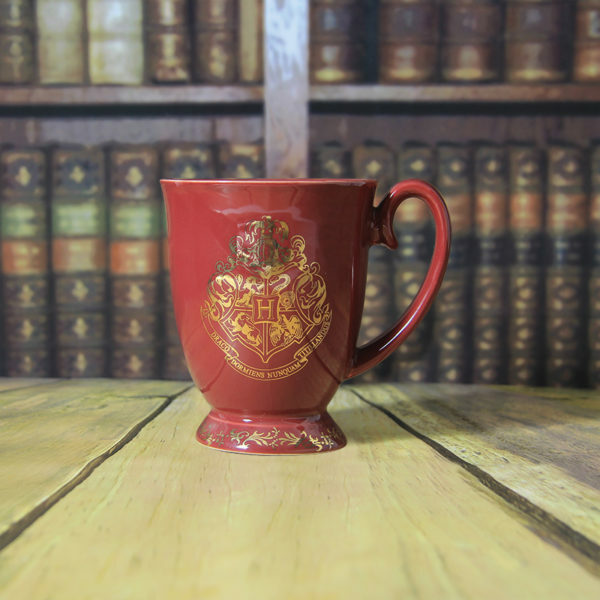 A ceramic mug with burgundy glaze and gold decals, this is a great piece of fan memorabilia from one of the most popular and successful novel and movie franchises of all time. First published in 1997, J.K. Rowling’s bestselling series of novels has since become a cultural phenomenon. Harry Potter is instantly recognisable to millions of people across the world, and is hugely popular among fans of all ages. This Harry Potter Mug is an officially licensed product. Not suitable for dishwasher or microwave use.